Therapy for adolescent girls and gender-nonconforming adolescents, ages 14 and older. What is Psychotherapy for Adolescents? 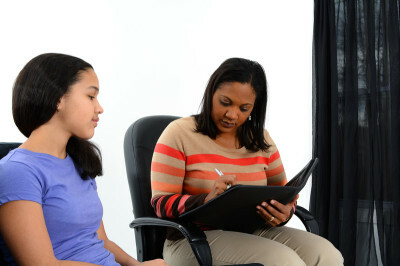 Psychotherapy refers to a variety of techniques and methods used to help adolescents who are experiencing difficulties with their emotions or behavior. Here at WTC we utilize a relational approach that each relies on communication and the relationship between the client and therapist as the basic tool for bringing about change in a person's feelings and behaviors. Psychotherapy for adolescents may involve an individual adolescent, a family, or multiple families. As part of the initial assessment, a qualified mental health professional will determine the need for psychotherapy. This decision will be based on such things as the child's current problems, history, level of development, ability to cooperate with treatment, what are those elements most likely to help with the presenting concerns. The relationship that develops between the therapist and the patient is very important. The adolescent must feel comfortable, safe, and understood. This type of trusting environment makes it much easier for the child to express his/her thoughts and feelings and to use the therapy in a helpful way.